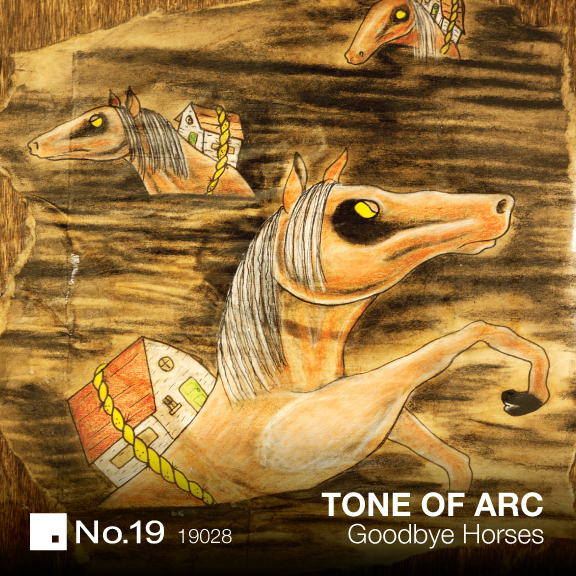 Goodbye Horses comes out on No. 19 Music next week and it is musician Derrick Boyd's love letter to cinematic 80s film scores. The title track is a cover version of the 1988 Q Lazarus track as featured in the film Silence of the Lambs. Boyd's vocals soar as stark frigid melodies are forced out of a synthesiser and heavy drums provide the momentum. B-side 'Sound Sail' is perhaps more interesting though. It retains the 80s filmic feel but is a subtler beast altogether. Catchy, clipped drums are paired with soulful vocals layered in reverb and bruised chord progressions. It could almost be described as Tamla Chromatics - the layered production betrays a deft-touch, creative an understated track of cool emotions. Deniz Kurtel makes a logical choice of remixer given the material. She turns in an even softer, more spacious version of 'Sound Sail'. Two separate bass lines interplay - one slow and wandering, the other a rapid staccato pulse. It is a dark and contemplative track that gradually slots keys and drum patterns together to create a deeply haunting but incredibly atmospheric seven-minutes. Goodbye Horses is released on Monday through No. 19 Music. Deniz Kurtel's album Music Watching Over Me dropped this week on Crosstown Rebels and we have to say - it's a bit of a grower. From the stable of Wolf + Lamb her debut is further evidence of a real movement building around the duo, particularly hot on the heels of Nicolas Jaar's excellent album, Space Is Only Noise. As with Space Is Only Noise, this is an album of atmospherics. The difference is that its sights are set squarely on the dance floor. The tracks marry a stripped down techno aesthetic to the more lively rhythms of house - the result is subtle but classy and timeless. Particularly strong are the US Garage stomp of 'Best Of' and the dark and brooding 'Vagabond', which actually sounds like it could be by Chloe - which is no bad thing. We'd definitely recommend seeking this out but if you are feeling lucky BlackPlastic have three copies up for grabs. To be in with a chance of winning one simply send an email to Competitions@BlackPlastic.co.uk with the subject line 'Just because I enter competitions, it don't mean I'm cheap' [now closed, thanks for entering!]. Winners will be selected randomly at midnight on 23 March 2011. Please include your full name and address on entries so we can send out the prize if you win! Music Watching Over Me is out now on Crosstown Rebels, available from Amazon.co.uk on CD (though out of stock at the time of writing) [affiliate link].